I suppose ‘the best’ needs some kind of qualification. 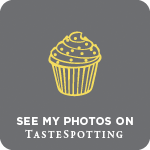 There are a lot of awesome chocolate cakes out there. It’s why I’ve inserted ‘loaf’ in front of cake because this isn’t some fancy frosted number with several tiers and fudgy icing. 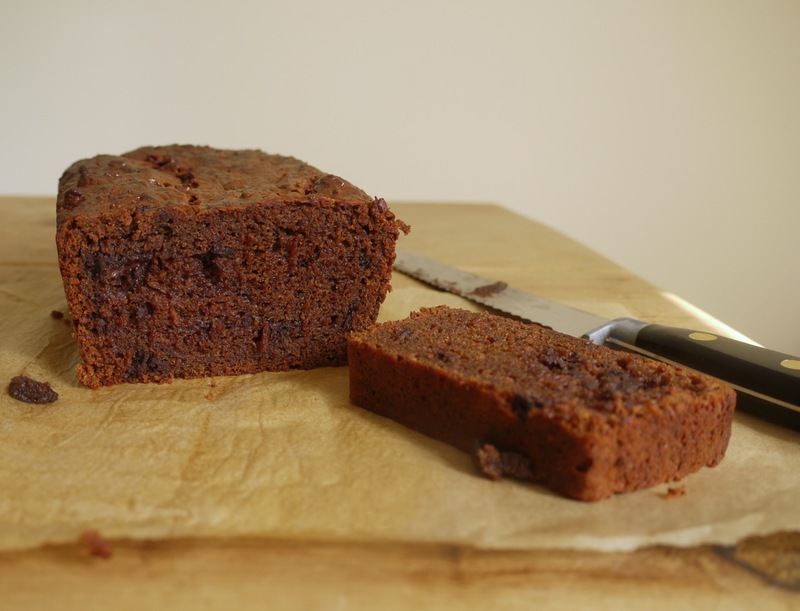 Those kind of cakes have their time and place (and if you’re looking for a ‘best’, this chocolate whiskey cake is pretty close to perfection), but today we’re talking humble loaf cakes. No layers or icing or even a glaze, just something you eat with your fingers in thick slabs, unadorned and all the more delicious for it. 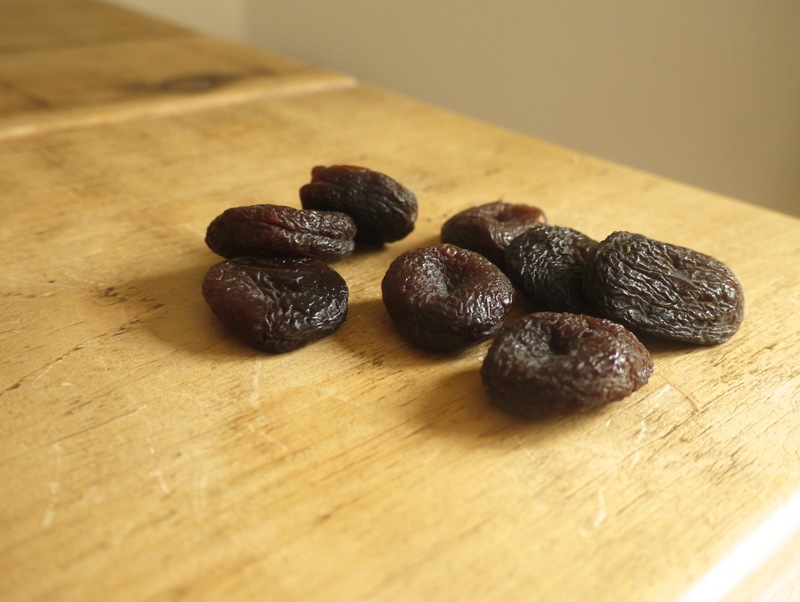 Lately I’ve been snacking on unsulphered dried apricots – the unattractive brown alternative to the dry orange specimens you can buy in most supermarkets – which, despite their appearance taste like sugar and caramel and fudge rolled into one; the Medjool date of the apricot world. Wrap them round a square of dark chocolate and you’ve got the best dessert alternative, which is where the inspiration for this cake began. 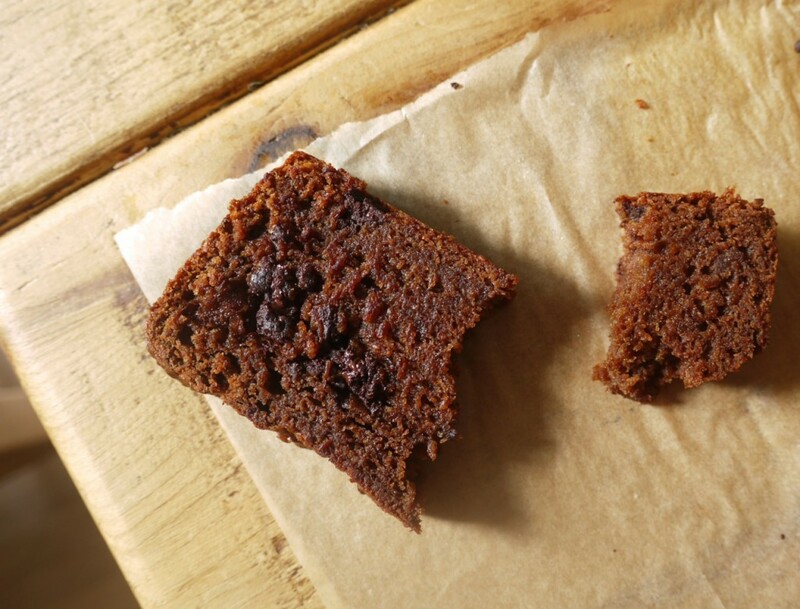 Dried apricots form the base of sweetness for this cake, in the way dates do a sticky toffee pudding. There’s a little extra brown sugar and honey for sweetness and moisture, melted coconut oil and chunks of dark chocolate running through the batter. 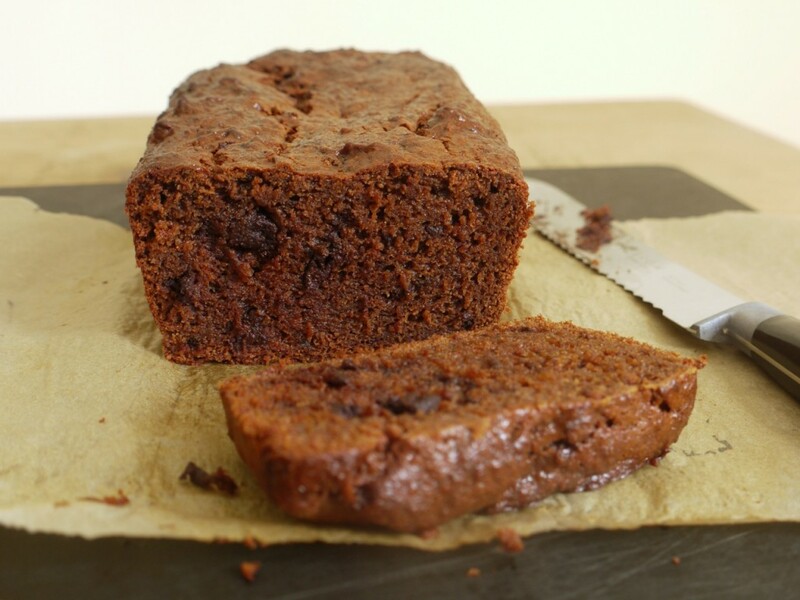 Baked up it becomes dense and sweet and beautifully squidgy without being overly so – like a chocolate malt loaf of sorts. It’s best served in thick wedges just as it is, but dressed up for dessert with some ice cream or cream, it would also be wonderful. A beautifully moist loaf cake made with dried apricots, dark chocolate, coconut oil and honey. Perfect for afternoon tea or after dinner with a scoop of vanilla ice cream. Preheat the oven to 170 degrees C/150 C fan. Lightly grease a 1kg loaf tin with coconut oil and line with baking parchment. In a small saucepan, bring the apricots and boiling water to the boil and cook for 2 minutes so that the apricots start to soften. Remove from the heat. In a blender, whizz together the apricots and water, yoghurt and coconut oil to form a smooth, loose paste. Transfer the ingredients to a large bowl and whisk in the egg, sugar and honey. In a separate bowl, sift together the flour, cocoa, baking powder, bicarbonate of soda and salt. Fold the dry ingredients into the wet, followed by the chocolate. Scrape the mixture into your prepared tin and bake for 50 - 60 minutes, or until a skewer inserted in the middle comes out clean. Remove from the oven and allow to cool in the tin for 5 minutes before transferring to a wire rack to cool completely. Serve in thick slices. Will keep in an airtight container for several days. Sounds delicious. Could you replace the coconut oil with butter? Yep, although I’d probably use sunflower or another vegetable oil as a substitute for butter in this instance, for extra moisture. You had me when you compared it to sticky toffee pudding. This sounds luscious. I remember buying unsulphured apricots when we were travelling in Turkey, and they were amazing – so different to the supermarket ones. I’d love to try this. The most delicious?! I believe you!! And I definitely need to try. I must admit, I had to Google “squidgy” and when I did, the funnest little cartoon came up!! haha, anyway, I will definitely be trying this soon! Great recipe and original combination. Never thought of using apricots in a loaf cake. Delicious! 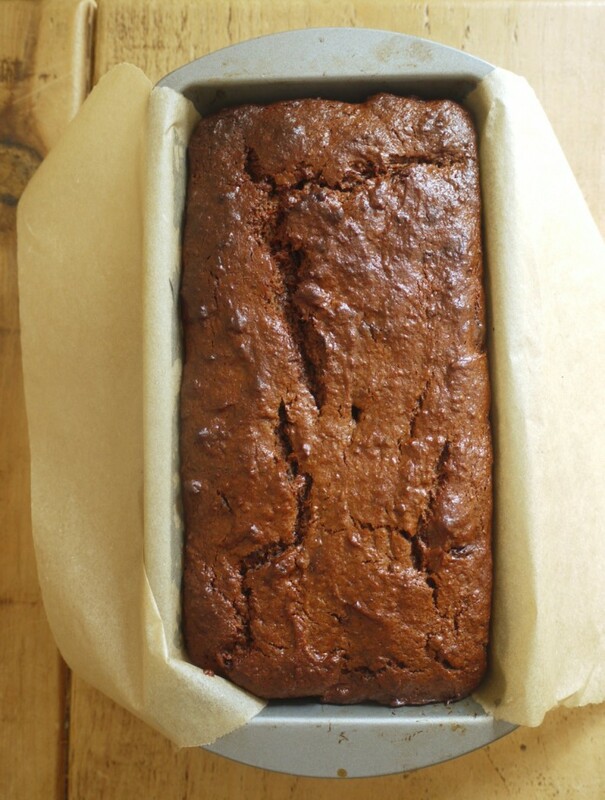 Ahhh, now when you describe a loaf cake as the most delicious you’ve tried, then it’s definitely worth switching on the oven and grabbing the ingredients needed! Hope you’re well and have had a good (and exciting with the book!) summer! I adore loafs like this. Plain, a good slice of it, and incredibly good. Looks soooo moist I want to dive in there! 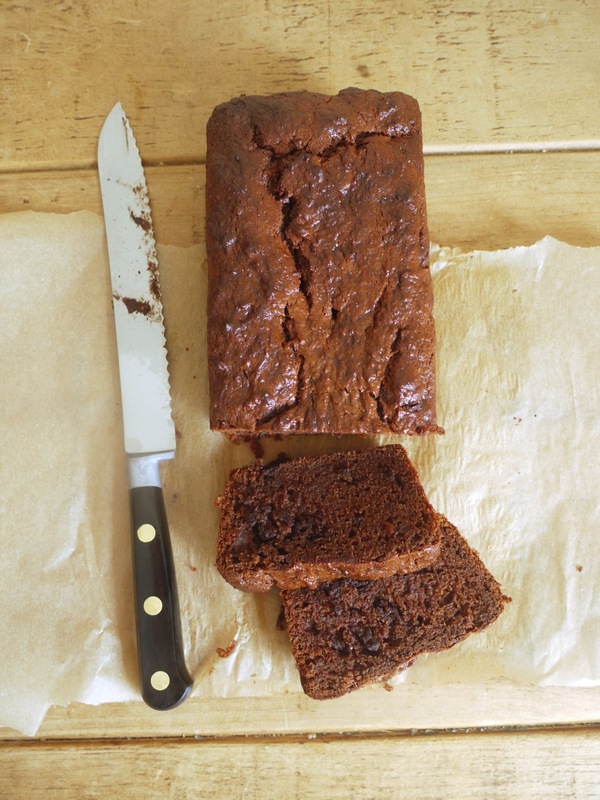 Thanks for sharing this Kate – humble loaf cakes are such a nice thing to have around. Plain enough to justify eating them for breakfast and yet still perfect as a simple dessert (maybe with some poached fruit and creme fraiche on the side). Dried apricots and dark chocolate are a match made in heaven so I can just imagine how good this combo must taste in cake form! There’s a recipe in one of the Ottolenghi books for a sticky prune and chocolate loaf which is pretty delicious but I think this apricot version sounds even better. Don’t know where you found the inspiration for such an unusual recipe but it’s definitely a winner. Shared this with family and took it into work….didn’t last long enough! This looks amazing 🙂 As a total chocolate addict who has actually never baked a chocolate loaf cake before I can’t wait to try ‘the best’!